June 7, 2018 - Like us now! The UK-funded Karandaaz is now investing in healthcare and agriculture. Karandaaz has signed two equity investment deals with a leading health diagnostic service provider and an innovative entrant in the agriculture sector. The investments are expected to create 900 new jobs in the country out of which 200 will be for women and over half will be for youth. 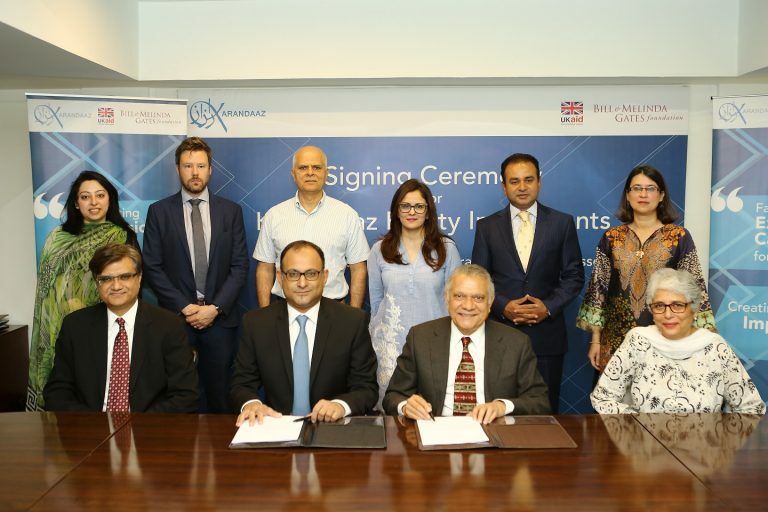 The healthcare investment deal with Excel Labs will triple the impact of the health diagnostic provider, and expand its services across Punjab, Khyber Pakhtunkhwa, and Azad Jammu & Kashmir, providing inclusive access to world-class diagnostic services for millions of Pakistanis. In the second deal with an undisclosed innovative agri-tech company, Punjab will experience the development of the first state-of-the-art controlled atmosphere warehouse. The project will benefit farmers across the agricultural province through better off-season prices and by reducing post-harvest losses in agriculture value chains.